Sublime with Rome comes to Stage AE on Sunday 7th July 2019! 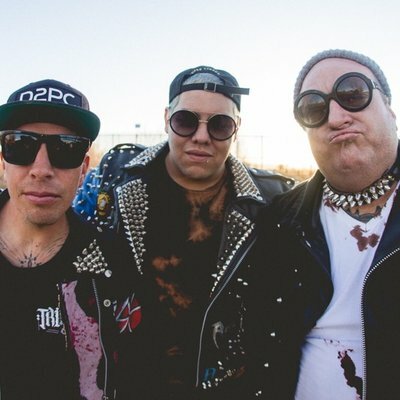 Bringing their music to their live stage, Sublime with Rome are the perfect summer band – with a collection of Sublime hit's along with their groundbreaking new releases and material from the last few years, this group are more than ready to celebrate the summer with you – their dedicated fan base! Book tickets today for a night you won't soon forget! Since the sad passing of Bradley Nowell in 1996, Sublime's lasting original members came to the decision to let their music live on in a newly founded collaboration with the guitarist and vocalist Rome. Together they have formed 'Sublime with Rome' a band that infuses all of the great collection of Sublime's much loved hits, with brand new material – giving fans a chance to catch them live in concert. Sublime with Rome are a must-see under the summer sky as their tracks hold a feel good energy to them – transforming any stage they perform on. Stage AE gives a warm welcome to the trio and as they hit the road for 2019, it opens it's doors for just one night only!! Come and show your love for the band and be a part of the special crowd on July 7th – Tickets are available to book above today.